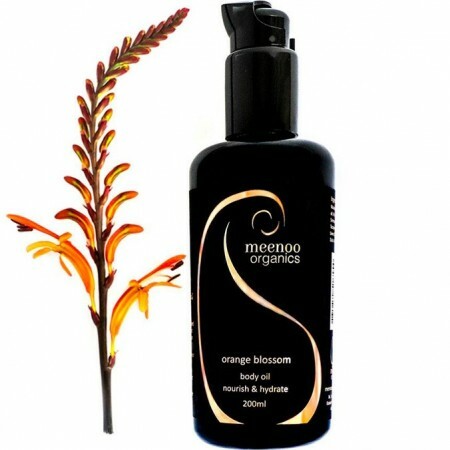 Nourishing and deeply hydrating body oil by Meenoo Organics moisturises the skin and aids in reducing scarring and stretch marks. Suitable for all skin types. Delightfully scented with Orange Blossom. 200ml. 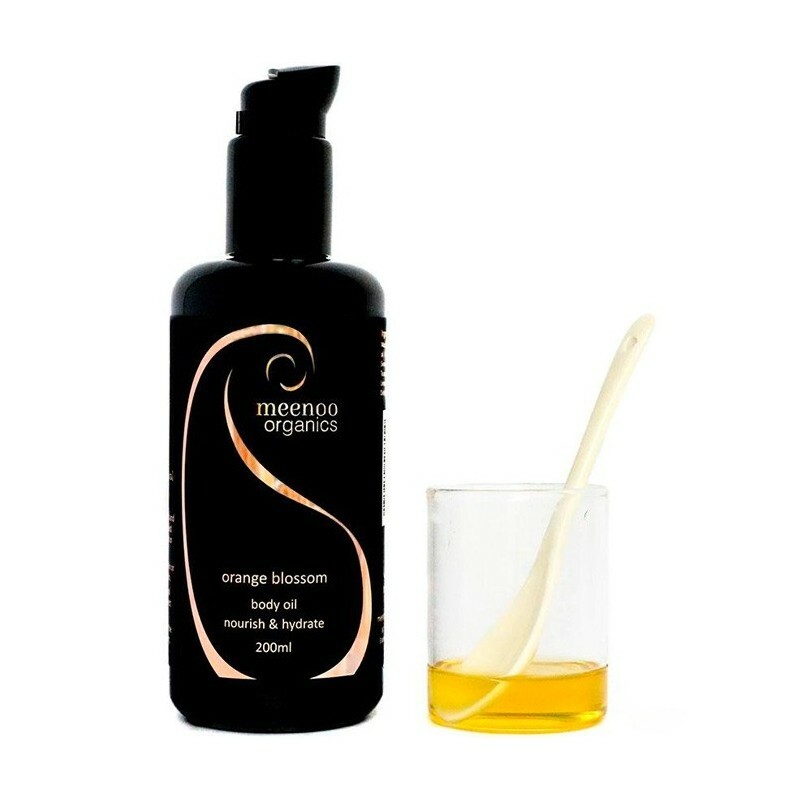 Nourishing blend of Macadamia, Jojoba and Grapeseed oil to moisturise and hydrate the skin. Easily absorbed by the skin, won't leave you feeling greasy. 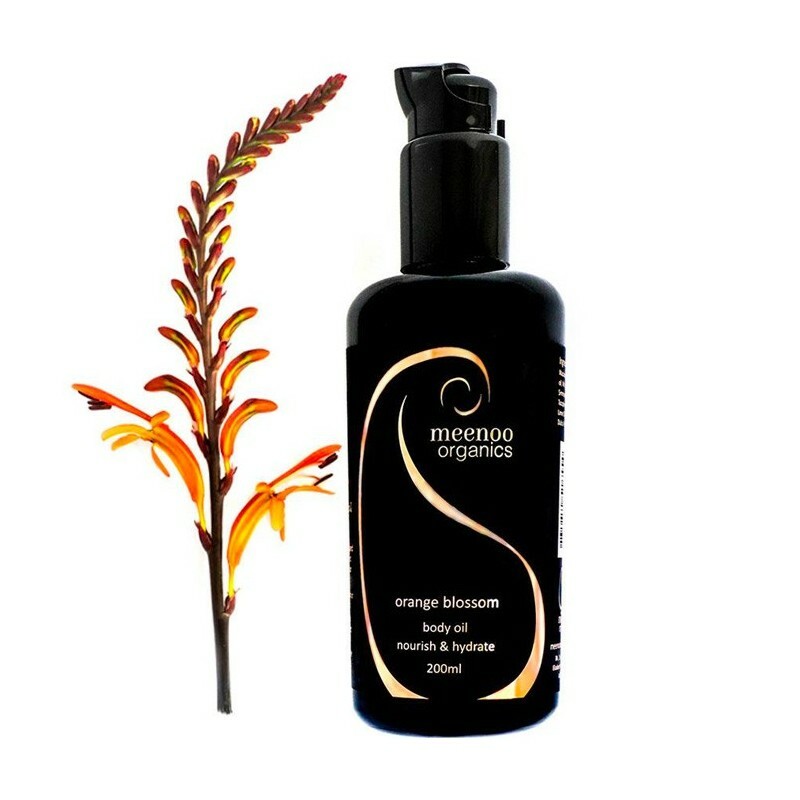 Naturally rich in fatty acids to restore and repair the skin and reduce inflammation. Store below 30 degress in a cool, dry place away from direct sunlight. Best used straight after bath or shower. 200ml glass pump bottle with plastic lid.